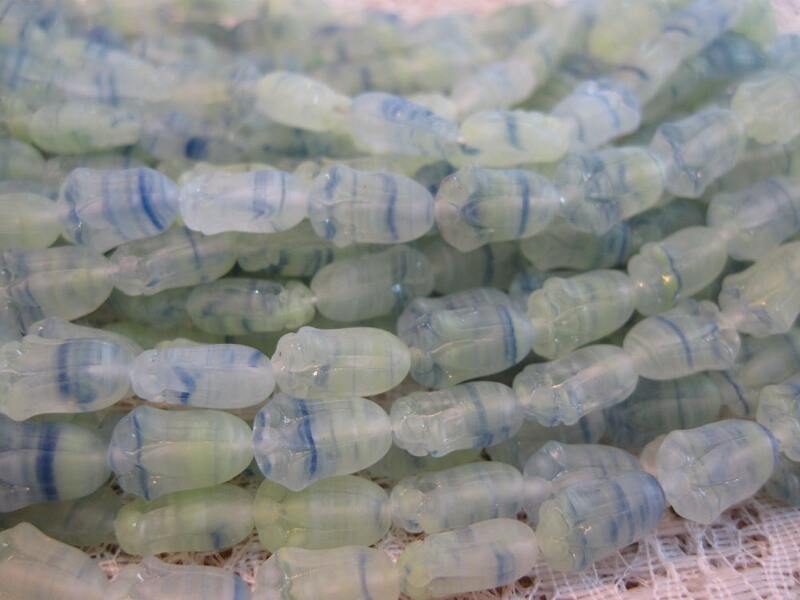 15 lovely blue and yellow Czech pressed glass tulip beads with a matte finish. The blue and yellow is complemented by frosty crystal giving them a real sea glass look! These measure 7x11mm with a hole running from top to bottom. Great color and looks great in jewelry creations! 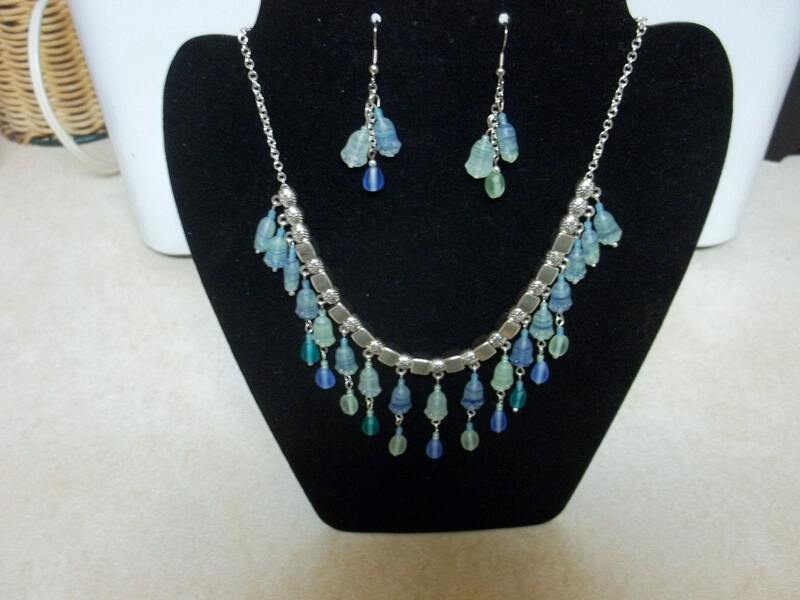 The second image shows a necklace and earrings set made by one of my customers, which will show you an example of how these beads could be used - jewelry is not for sale on this listing.